But from Yarl’s Wood Immigration Removal Centre, to London’s Chinatown, the UK’s vote to leave the EU feels threatening, divisive, and poisonous for Britain’s ethnic minority and migrant communities. London’s Chinatown. Jonathan Brady/PA Archive/Press Association Images. All rights reserved.A few days before the UK’s EU referendum, I travelled up to Yarl’s Wood Immigration Removal Centre in Bedfordshire. I wanted to visit a friend who had been detained there for five months. She came from a working-class family in southern China, and was a language student here until earlier this year. But under home secretary Theresa May’s tougher crackdown on undocumented migrants, she was arrested while working in a Chinese takeaway in Manchester. Made increasingly anxious by the living conditions at the detention centre, while waiting to be returned to China, she asked me what the referendum result would do to people from outside of the UK. Britain contains so many parallel societies. As I lost hope of helping my detained friend, the referendum’s ‘Leave’ result was announced, with voters chanting that they had ‘taken their country back’. The political and media class are eager to tell us that this is a ‘working-class revolt’, which leaves me puzzled. If this is so, who is my detained friend, and the tens of thousands like her who put together their life savings to travel here and improve their families’ livelihoods? Who are those tens of thousands who have chosen to make this country their home, who have settled here, and want to be part of society? And who are those descendants of theirs who were born and bred British, living in inner cities, struggling to make ends meet? I think I understand now: when they say ‘working-class’, they mean the white British working-class. No doubt, this is an anti-establishment vote, and economic insecurity and disenfranchisement form a very real backdrop to the Leave vote among much of the white British working-class. But at the same time, this is an anti-establishment vote misdirected at perceived ‘outsiders’ in Britain: EU migrant workers, Muslims and other ethnic minorities, refugees and asylum seekers. 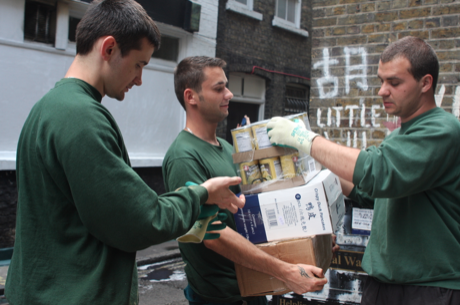 Many white British workers voted Leave on the assumption that migrant workers – or any perceived ‘outsiders’ – benefit from the disenfranchisement of the white British working class. This is a vote that has divided working-classes across ethnic origins.This is a vote that has divided working-classes across ethnic origins, and has set workers of one group against another. The reality presented by the Brexiteers is a false one. Many ethnic minority and migrant workers are economically insecure and disenfranchised, too. And on top of that, they have to deal with racism and the impact of Britain’s anti-immigrant policies on a daily basis. “Anything can happen”. Hsiao-Hung Pai for openDemocracy. All rights reserved.A few feet away from him are a dozen Hungarian workers employed by a Chinese supermarket to do loading work here six days a week. Their jobs in Chinatown were their first in Britain. Since immigration raids became more frequent and, for fear of heavy penalties, employers replaced undocumented Chinese with EU workers several years ago. They tolerate the physically demanding work, only because wages back home are so unbearably low. A week’s pay in London is equivalent to their monthly pay back in Hungary. We simply don’t know what will happen to us. Anything can happen. 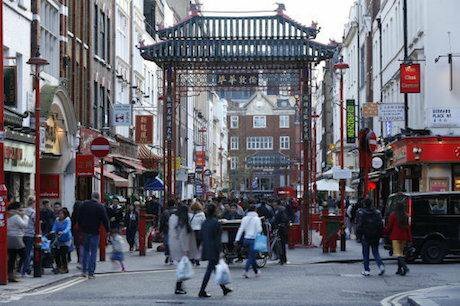 But while the Chinese business community sees Brexit mainly in terms of business interests, many British Chinese from all walks of life are much more worried about Brexit’s impact on their place in British society: their rights, safety and well-being. There’s the strong sense that the racism they have always experienced living in this country has been given a new lease of life by the referendum result. Polish and Social Cultural Association, London. Kerim44/Wikimedia Commons. Some rights reserved.These echo the concerns in other minority and migrant communities, as they are faced with legitimised racism and growing hate crimes. In Huntington, Cambridgeshire, there have been reports of signs saying “Leave the EU, no more Polish vermin” posted through the letter boxes of Polish families on the day of the referendum result. Cards carrying racist messages were also distributed outside primary schools. 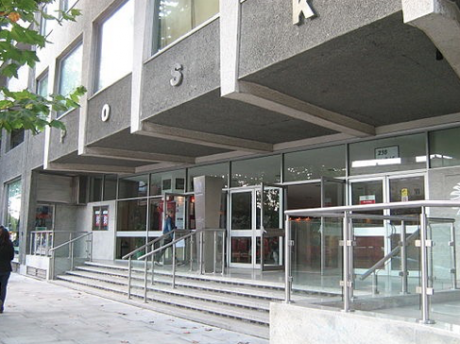 The Polish and Social Cultural Association in west London was vandalised with racist graffiti. The endemic isolation in British society explains why many have suffered racism in silence. There are no support networks for migrants in local communities, and when in need, migrants can only turn to their usually insufficiently-funded community support organisations for advice and help. Or they simply keep quiet. Miqdaad Versi, of the Muslim Council of Britain, has collated reports of more than 100 racist incidents since the Leave vote. “While before the perpetrators were usually keyboard warriors, waging their xenophobic battle online, now more and more reports are emerging of real-life physical and verbal confrontations,” the report says. It’s clear that these cases of racist abuse are targeting not only those from within the EU, but also anyone who is perceived to be different and ‘foreign’, even if they are born and bred in this country. The referendum campaigns viciously attempted to create divisions among migrant and ethnic minority communities, aiming to turn people against each other (EU workers versus Commonwealth workers is one example of a false division created by UKIP). In reality, the experience of post-referendum racism is shared among all. In reality, the experience of post-referendum racism is shared among all. Brexit is not a ‘working-class revolt’, but it does reflect the history of defeat and alienation of the British working-class. Central to that defeat has been the decline of working-class organisations; nationalism within trade unions – reflected in the idea of ‘British jobs for British workers’ – seems a symptom of such defeat. Casual, flexible, insecure employment is the norm for large sections of the white working-class, as well as ethnic minority workers. But the latter are often burdened with racial discrimination in workplaces and institutions. There is no imperial nostalgia for them to fall back on. Darren Carroll, a Lutonian painter and decorator whom I met when researching for my book Angry White People, is always proud of his working-class background. He sees through how the referendum, like all other Tory initiatives, has divided communities. “When I talk to people, I know that the Leave vote is mostly about immigration, not much about the EU,” he said.